I have several Excel workbooks hosted on an on-premises SharePoint installation that are refreshed each day. 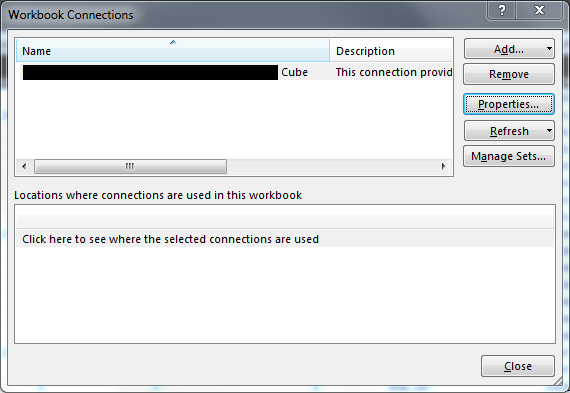 Each workbook accesses one of our Analysis Services cubes via Excel Services. 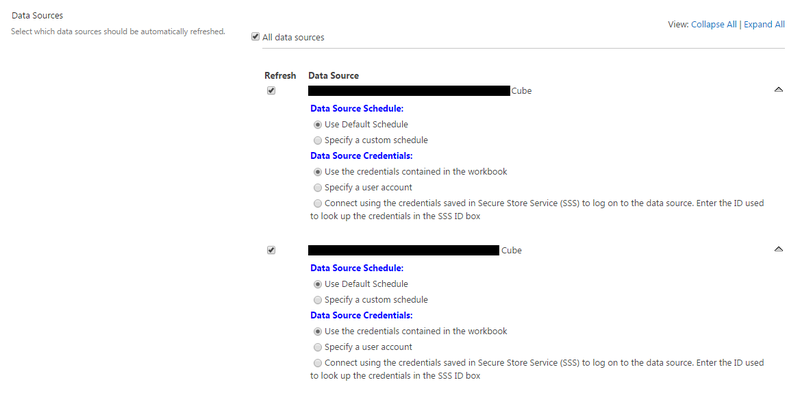 When I went to configure the refresh for a new workbook the Manage Data Refresh page showed two data sources to be refreshed, but the workbook itself only thinks it has one data connection (which is what I expected). My assumption is that the workbook was created by copying an existing workbook and changing the data connection, but why does SharePoint still see the second data source when Excel doesn't show it if I download the workbook and open it locally? What should I do to remove the second data source? Browse other questions tagged sharepoint-server excel-services powerpivot data-refresh office-data-connection or ask your own question.